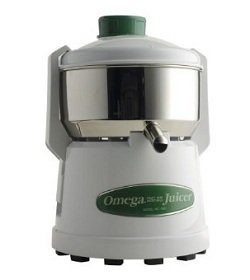 The Omega 1000 juicer is a centrifugal design juicing machine that uses a spinning rotation to separate juice from pulp. It has a very powerful 1/3 HP motor which the manufacturer claims produces more juice in your glass and less left behind in the pulp. Let’s see what the strengths and weaknesses of this juicer are so you know if it is the best pick for your kitchen. Produces beautiful juice packed with nutrients your body needs. Many people also like the design of this juicer since it is more round and a bit shorter than many other juicers on the market today. The classic white color choice is another perk as it looks great on any countertop. Yet, the biggest advantage to using this machine is the powerful motor. The motor allows the blades to chew threw harder fruits and vegetables such as carrots and apples as if they were soft as oranges. If you want something with the power to pull more juice from your produce, this is one to consider. Just look over the following weaknesses of this juice extractors before you make your final decision. The best decision is always an educated decision. Bits of pulp and peel can easily get stuck, making the machine shake off center. Clamps on the side of the machine break easily. Vibrates so much it can “walk” off the counter if not watched or contained. The noise and vibrations that can send the machine walking right off the countertop are the biggest complaints. The broken clamps are another big problem, though there are plenty reviewers out there who have owned their machine several years without encountering that problem. It may be a manufacturing defect but so far consumers seem to be unsuccessful at getting their machines replaced or repaired. It is important to note that the intense vibrating that may cause the machine to “walk” on the countertop is likely due to pieces of skin and pulp getting stuck inside the machine. This can be frustrating as you have to stop the machine to clean that out before it will stop making the vibrations and jumping motions. Despite these complaints, there are quite a few consumers who find the Omega 1000 juicer to be well worth its low price tag. You should be able to pick this one up online for less than the $229 retail price. We found that you can often get it for a discount at Amazon.com. What you are paying for if you purchase the Omega 1000 is a very powerful motor that can pull tons of juice out of every piece of produce and a nice design that looks good in the kitchen. 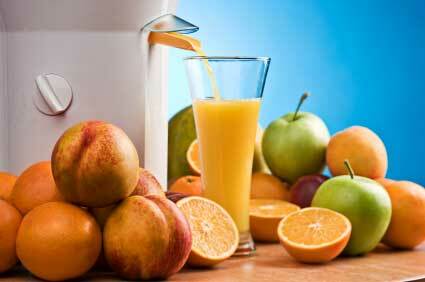 What you will have to deal with is the noise and vibrations caused by uneven loading during the juicing process.